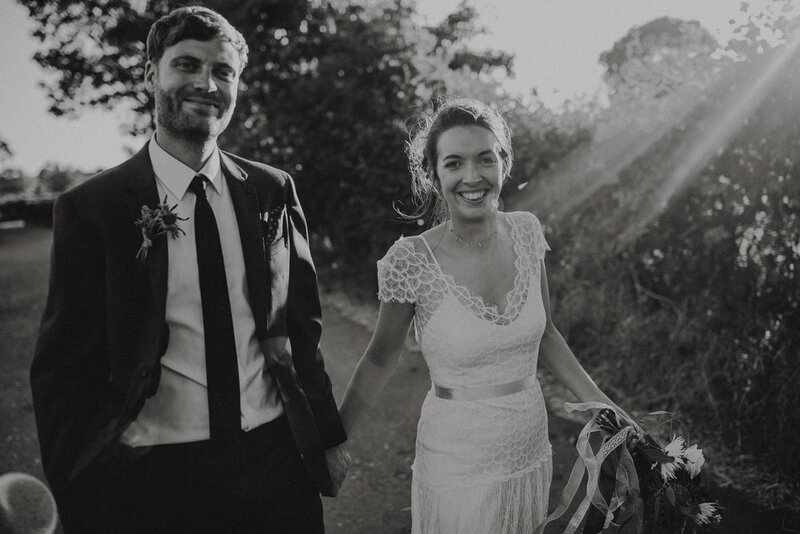 Martha and Dave both work as teachers in the Seychelles, and I was recommended to Martha by her colleague Jodie, who’s dress I’d made back in the summer of 2016. 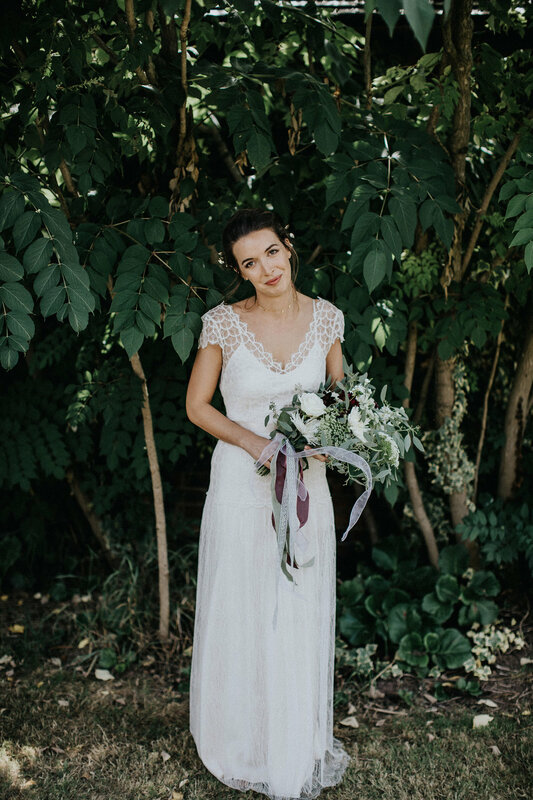 Martha was initially torn between Sweet Violet and Astilbe, but decided that Astilbe felt that little bit more special, and would work better for the laid-back, farm wedding they had planned. 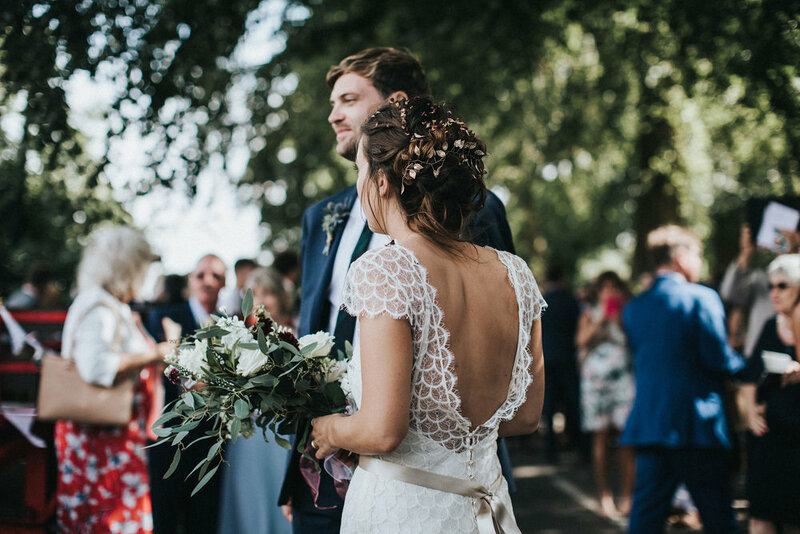 We kept everything on Astilbe just as it was designed, and squeezed Martha’s fittings into the Christmas and Summer holidays when she returned to see her family in the UK. 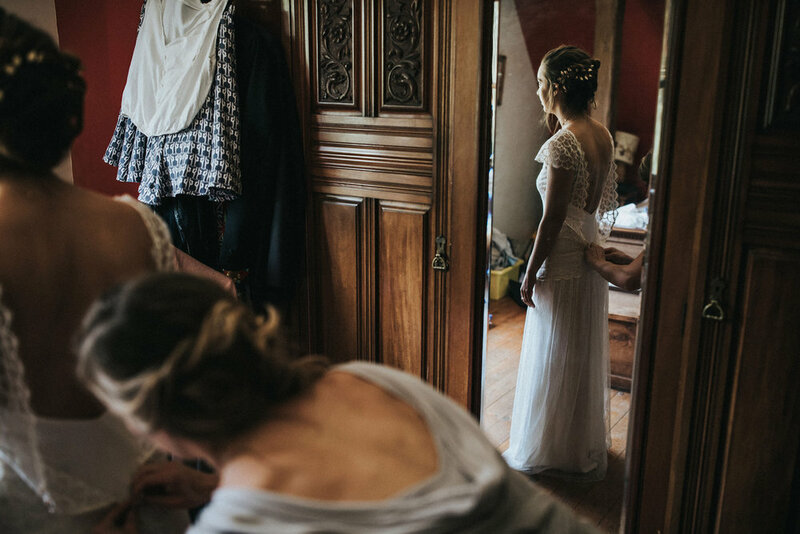 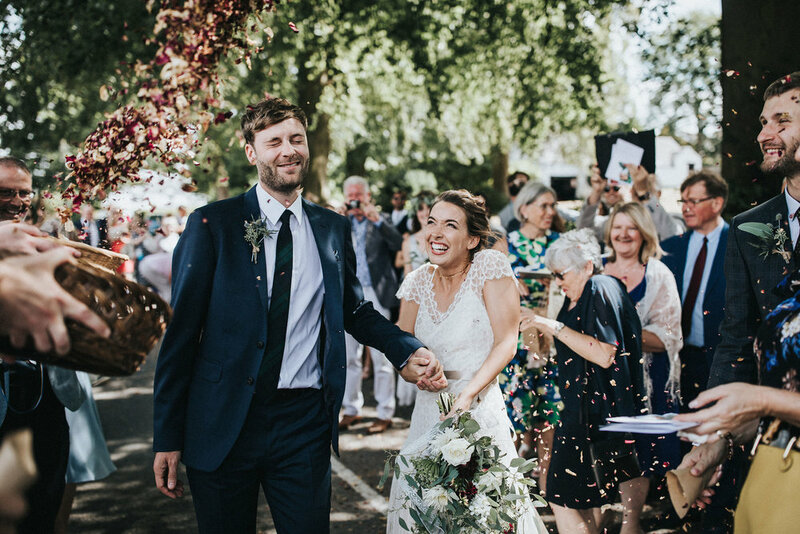 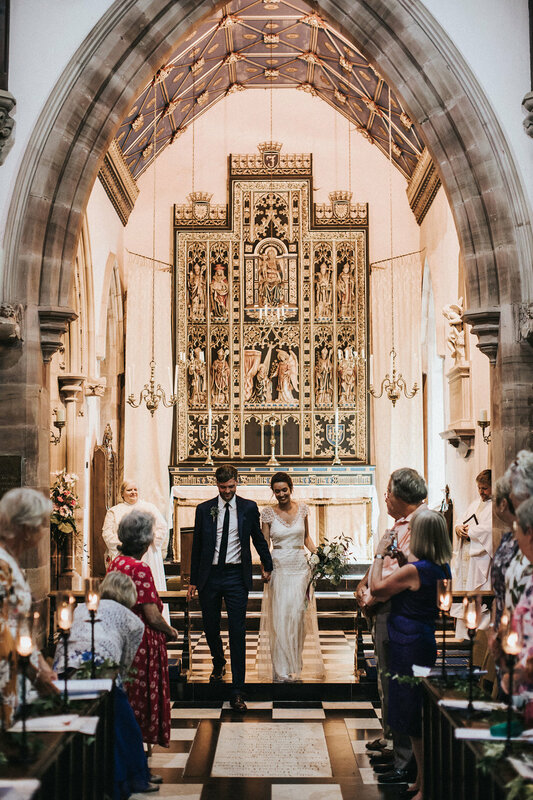 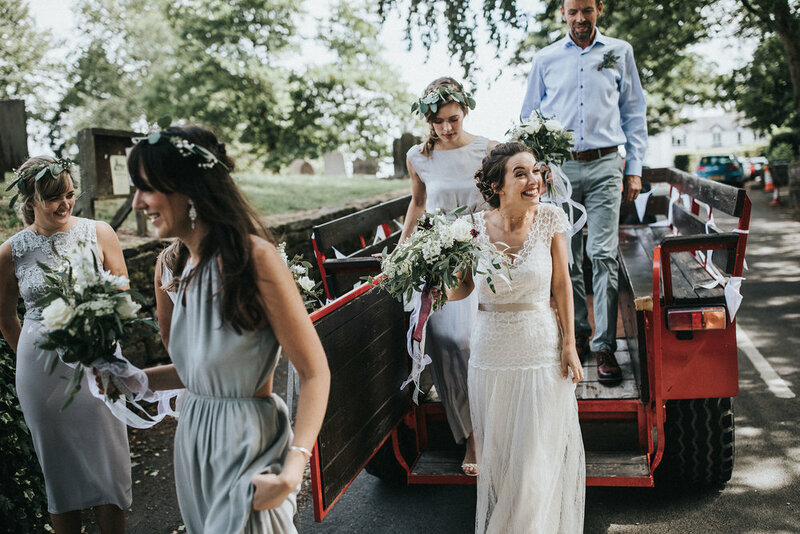 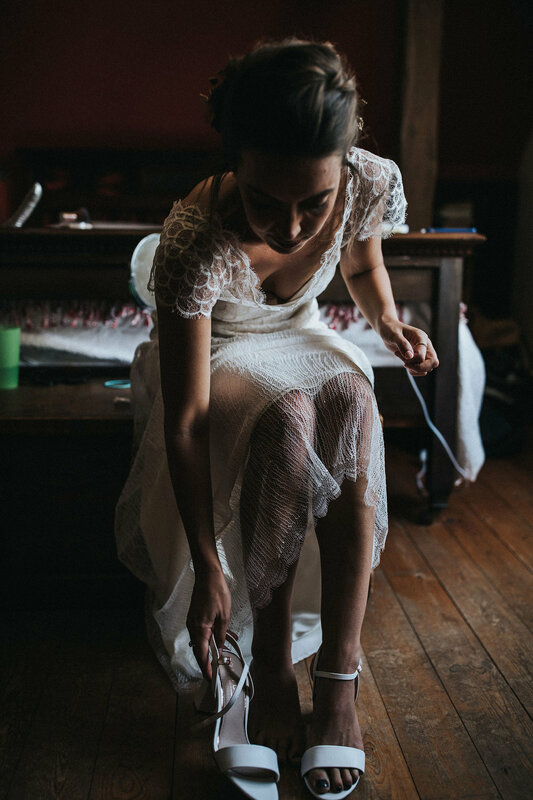 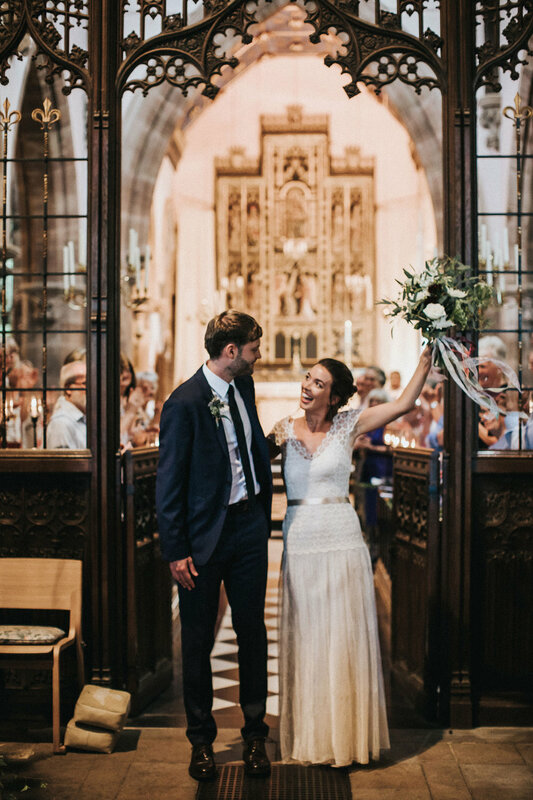 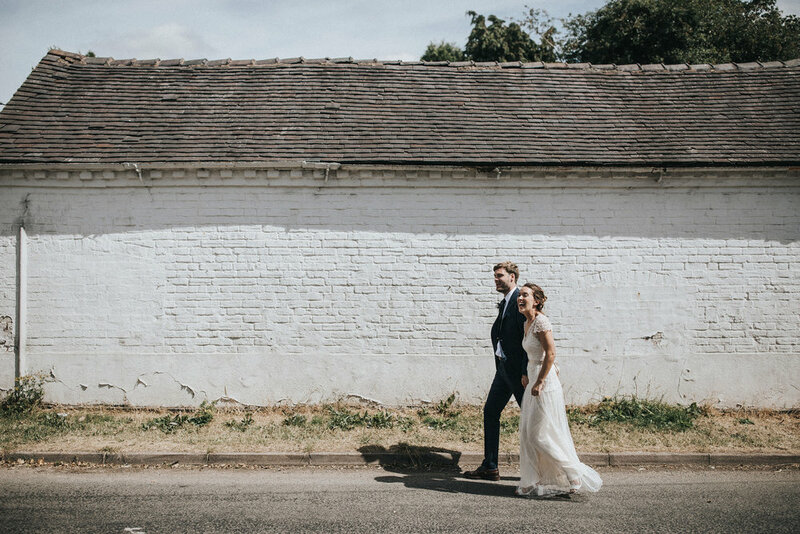 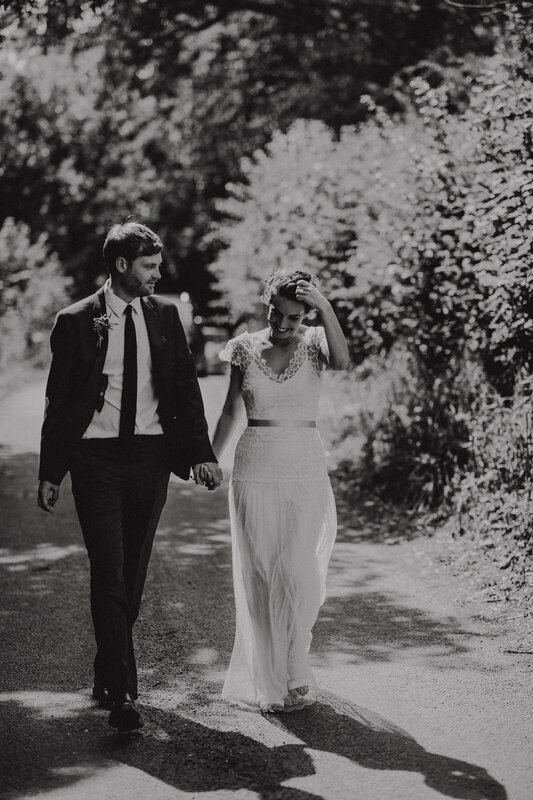 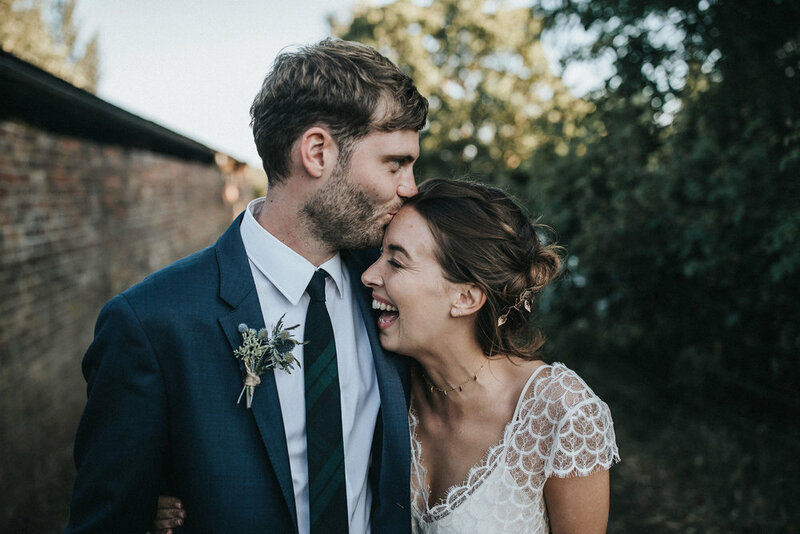 Martha and Dave were married at her local – and very beautiful – church in Shropshire, which Martha, her dad and bridesmaids travelled to on a red tractor and trailer – epic. 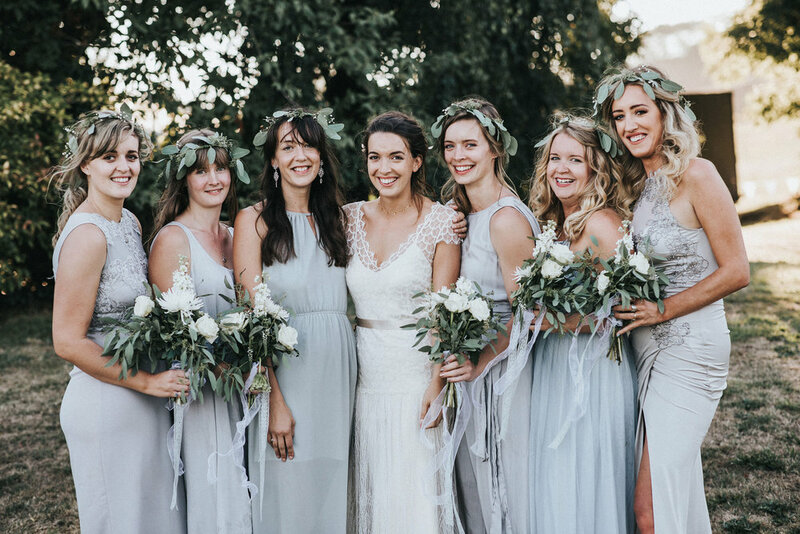 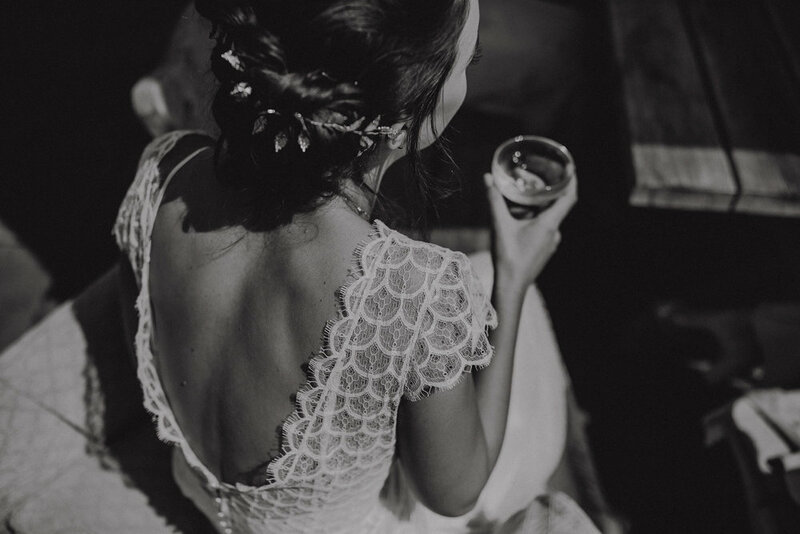 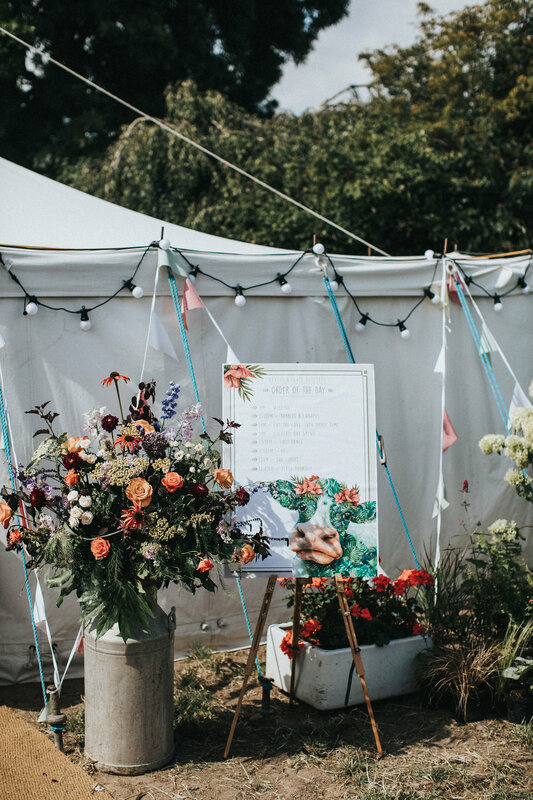 They headed back to her parents’ farm for the rest of their celebrations, where they’d set up a gorgeously-styled tent filled with festoon lights and milk churns full of flowers. 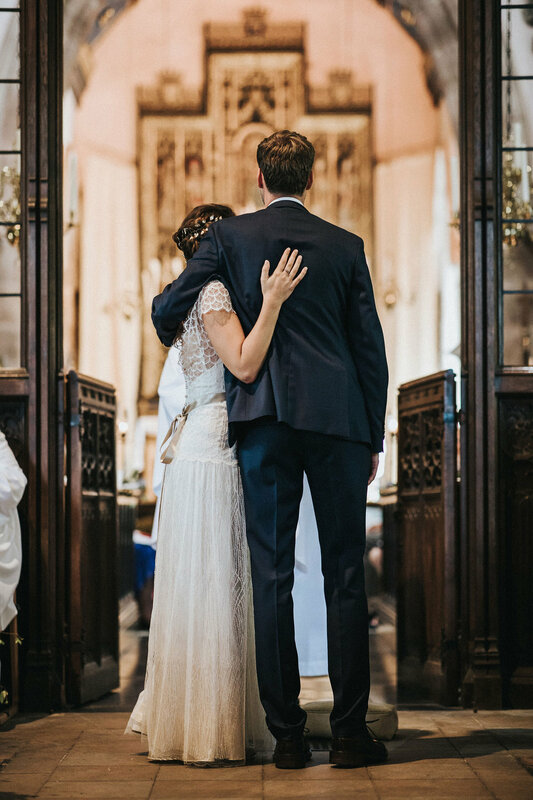 Such a beautiful wedding.